Frank Azor has just confirmed that the new top end hardware configurations for the Alienware m15 gaming notebook will arrive in about 60 days if everything goes as expected. This means that both the high- and low-end configurations will probably arrive at the same time, most likely by mid-January. Although the Alienware m15 has 5 hardware configurations to choose from right now, all come with the Intel Core i7-8750H processor and NVIDIA GeForce GTX 1060 and GTX 1070 Max-Q graphics. The latest model added sports 32 GB of memory and a pair of 1 TB PCIe M.2 SSDs, but it does not come cheap at all and carries a price tag of US$3,890.59 (discounted from US$3,974.99). Frank Azor has just made it clear for those waiting for news about the promised GTX 1080 configuration. Alienware's co-founder and VP General Manager posted the following message on Twitter: "About 60 days is the soonest we will be ready with new top end configs." These being said, we should get ready for next year's Alienware m15 updates. Obviously, this means that some of those interested in the high-end setup should plan their finances accordingly since it would not be surprising to see the most expensive configuration easily break the US$4,000 barrier. 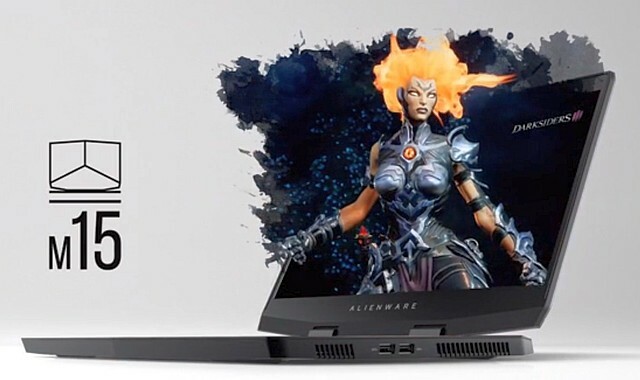 However, it would not be surprising to see the Intel Core i5 + GTX 1060 model becoming Alienware's new best-seller — if it comes with a budget-friendly price, of course.